It’s still unseasonably chilly as we approach midsummer’s day but there’s no denying that the summer season has begun. The telephone now rings with predictable regularity as visitors to Kinnegar-land enquire about the possibility of joining a brewery tour. So the good news is that from Saturday 27 June we’re back on our regular summer schedule with tours on Saturday afternoons and Wednesday evenings. Additional tours on these days will be scheduled subject to demand. See our Visits page for full details. Please remember that you must book in advance on 074 915 8874 or 086 830 1392. Try to do it a couple of days ahead of schedule — we can’t guarantee a spot if you leave it until the day! Tours will run provided we have a minimum of four participants. Tours cost €10 and include a glass of beer in the Taproom at nearby Rathmullan House afterwards. After you’ve learned all about how beer is made you’ll also have a chance to stock up on Kinnegar glassware, T-shirts and giftpacks. This entry was posted on June 19, 2015 by kinnegarbrewing. 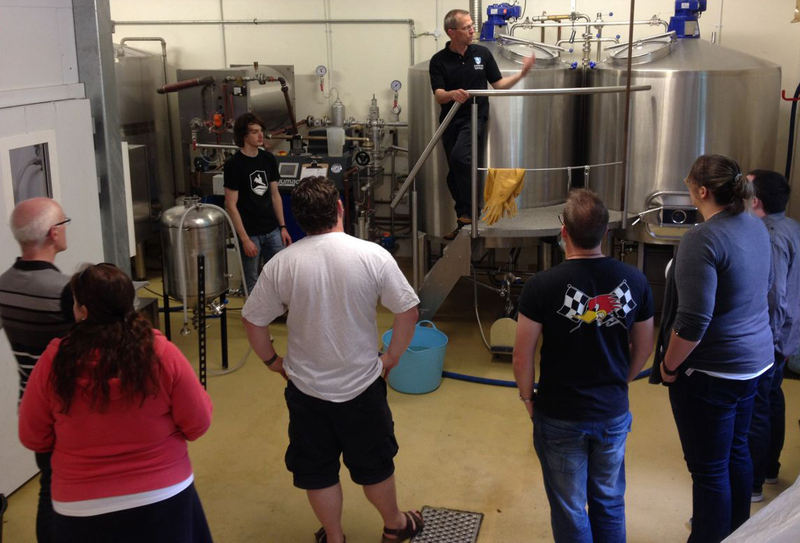 It was filed under Brewery Tours, Gifts & Goodies and was tagged with brewery tour, Kinnegar.